In an environment where home comfort service providers are searching for a proactive equipment sales process, The TankSure® Program provides the answer. The program smoothes over normal service revenue valleys by collecting data during busy times and using a targeted marketing approach to drive revenue in the historic slow times. 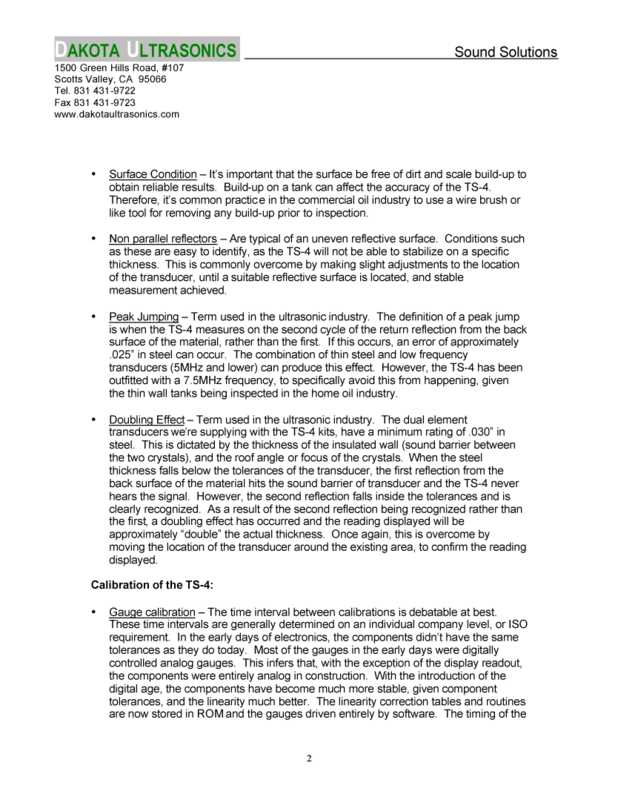 The patented TankSure® Program process provides a unique Data Collection, Data Tracking and Mining, and Marketing and Sales process. 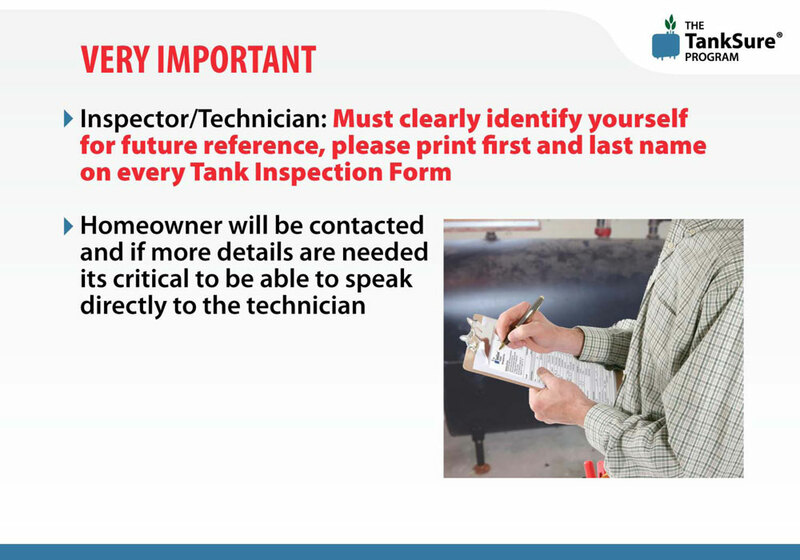 The TankSure® Program employs the use of a data collection process generally conducted at the time of an annual heating system tune-up. The data collection and oil tank testing process take less than 10 minutes. The tank and heating system data is collected and entered into a cloud-based Sales Database to organize and track sales and marketing efforts. As inspection data is entered, The TankSure® Program allows you to access Equipment Sales Reports and data in real time from any web browser. 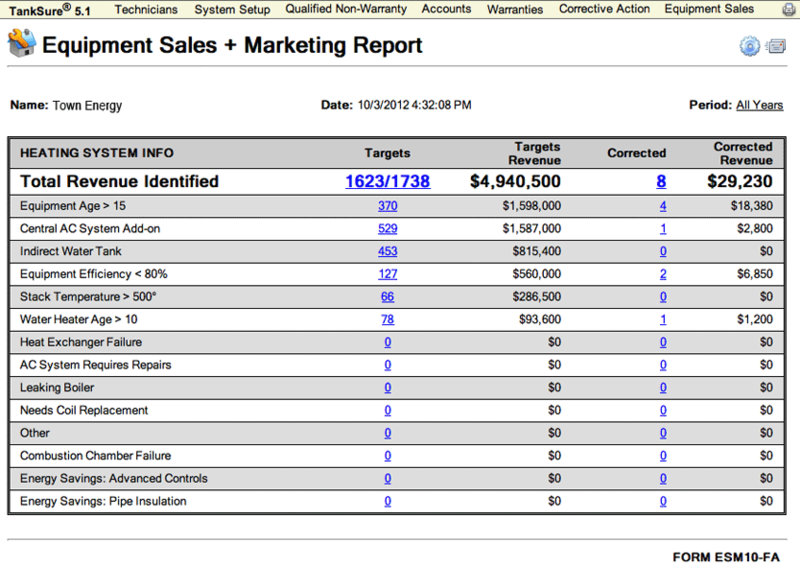 Reporting features identify and organize your equipment sales leads for Sales and Marketing follow up. All data is hosted in a secure data hosting facility. This facility employs the use of biometric security access, 24/7 video surveillance, hospital grade back-up generators, fire suppression systems, and temperature and humidity controls to ensure data integrity. Companies using The TankSure® Program have access to customized sales letters for each equipment sales opportunity identified. 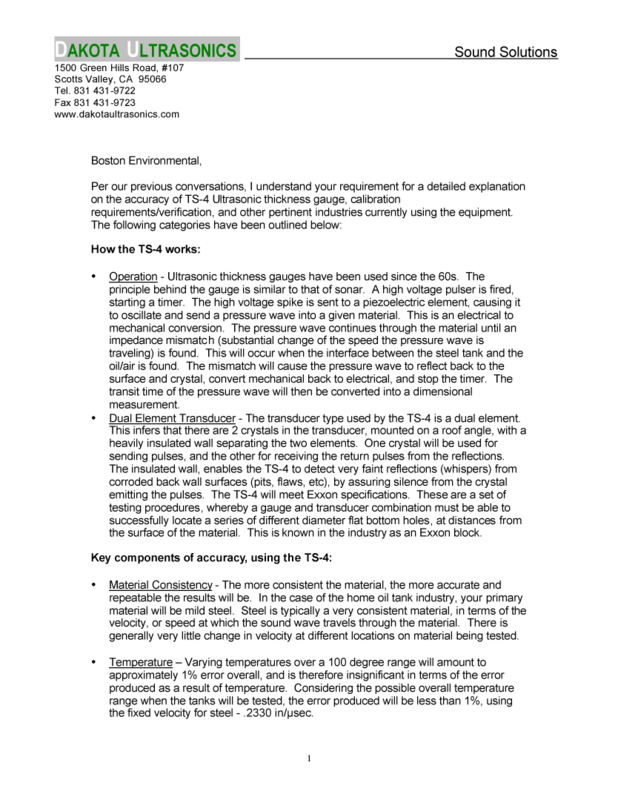 Each letter clearly articulates why the homeowner should consider the home comfort system improvement. 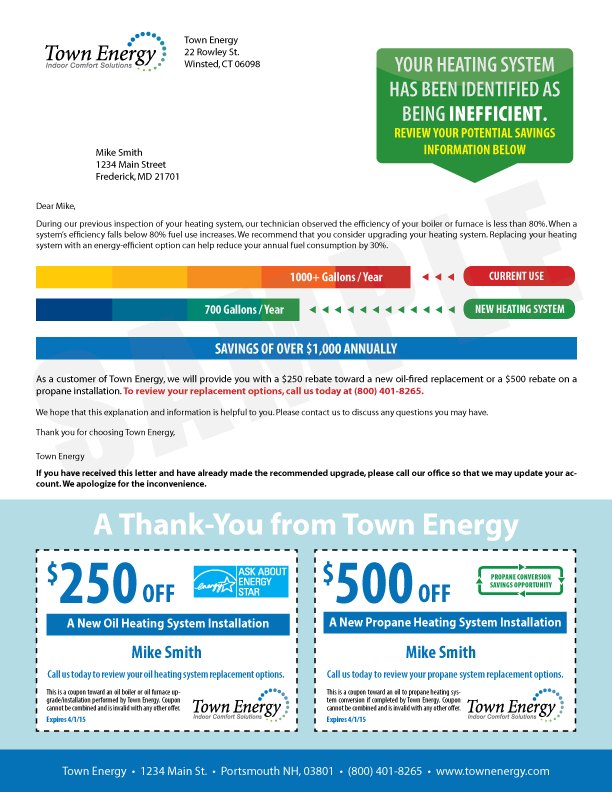 Each letter includes a diagram of the recommended upgrade and a clear call to action. 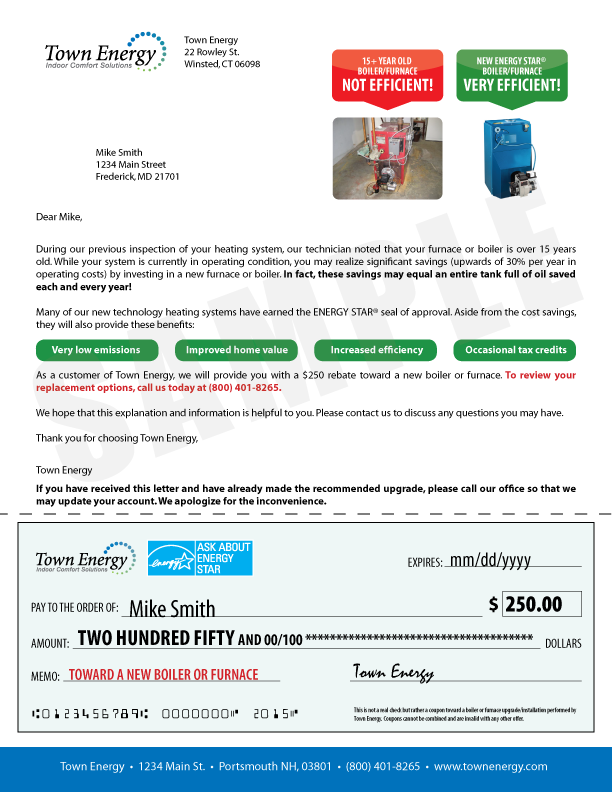 The process typically identifies $2.35MM in target revenue per 1,000 heating systems inspected. TankSure® has proven strategies for increasing the profitability of your service plans and tune-ups. 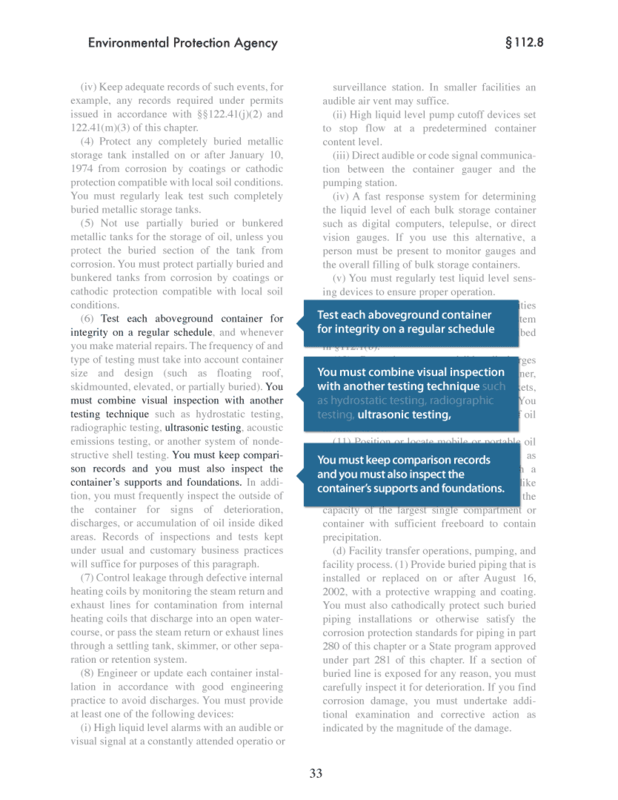 The 100% of cost to consumer markup strategy guarantees that your services will be significantly more profitable. Whether you bill using time & materials or flat rate, we cover all the details to ensure success within your organization. The TankSure® Program provides customized onsite training and ongoing support for all of your employees. 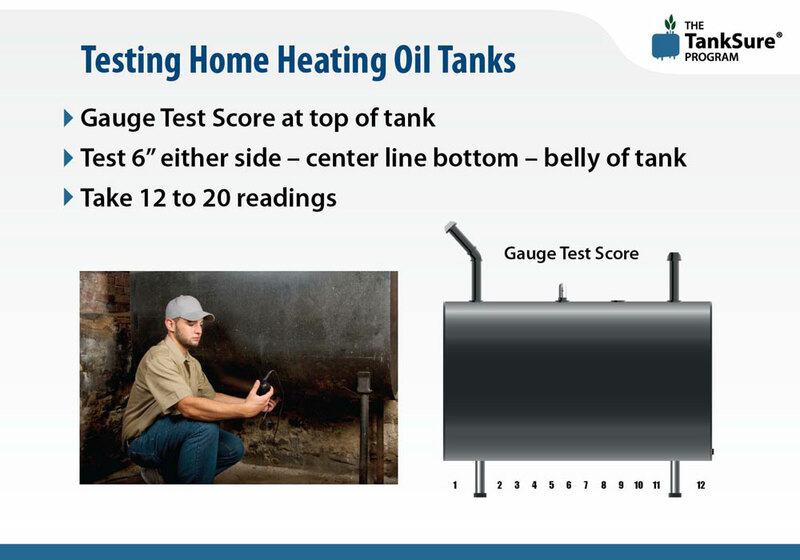 Service technicians receive classroom and field training that will teach them how to use The TankSure® Program to evaluate an oil tank and collect heating system information in less than 10 minutes. The TankSure® Program Field Consultants also train all other company employees including customer service, managers, billing, and sales personnel. The insurance industry has sent a clear signal, backed by an economic incentive, to test the tanks. Valuable benefits on homeowner policies are available in many states for oil heat consumers that have had the TankSure® test. 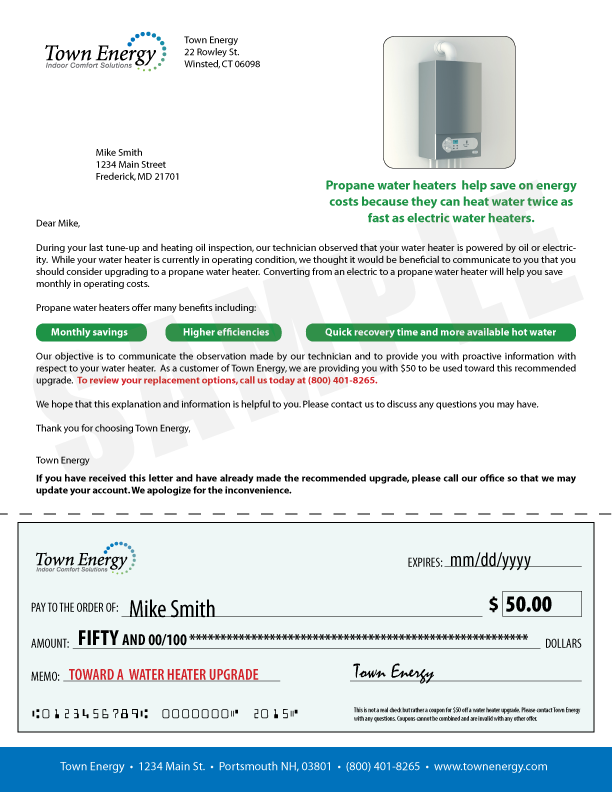 This is a valuable customer retention tool for you and a valuable benefit for the oil heat consumer. 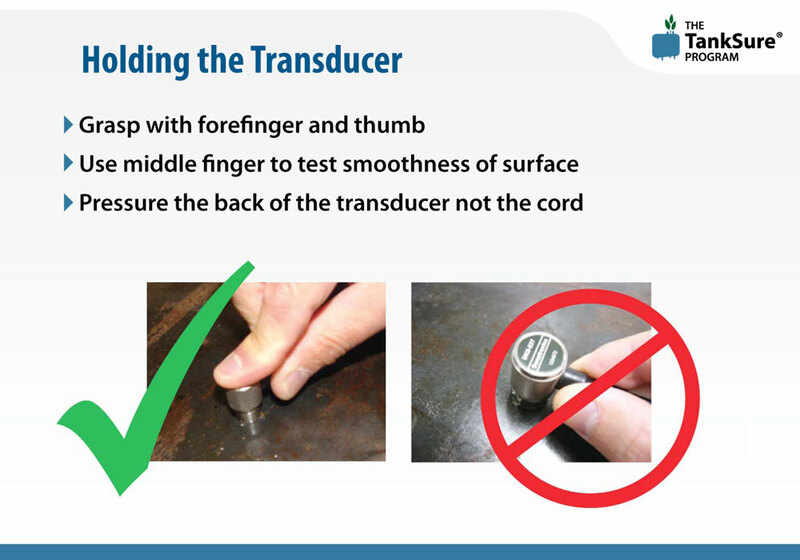 The Data Collection process utilizes ultrasonic testing to help identify sales opportunities. 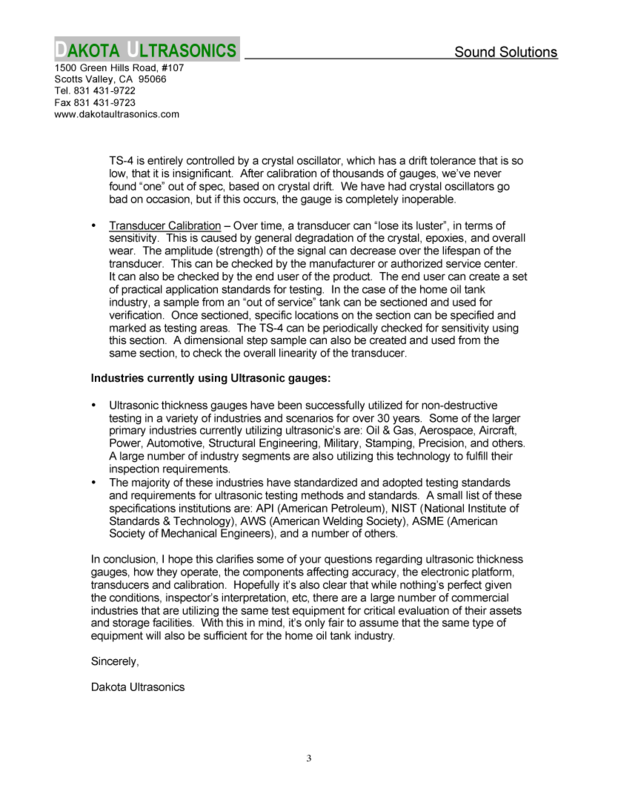 Ultrasonic thickness gauges have been successfully utilized for nondestructive testing in a variety of industries and scenarios for over 30 years. Some of the larger primary industries currently utilizing ultrasonics are Oil & Gas, Aerospace, Aircraft, Power, Automotive, Structural Engineering, Military, Stamping, and Precision. A large number of industry segments are also utilizing this technology to fulfill their inspection requirements. 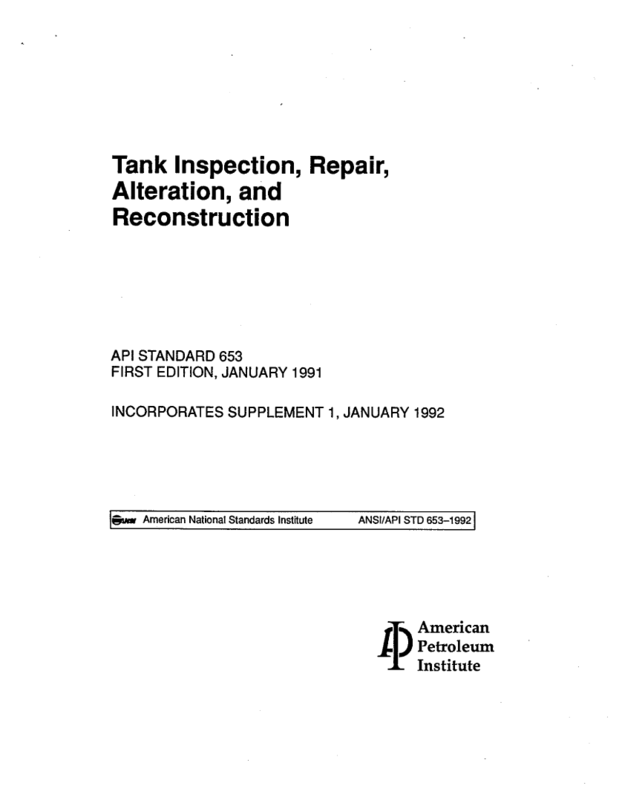 The process that The TankSure® Program employs for ultrasonic testing is based on these EPA and API standards and guidelines. The Environmental Protection Agency (EPA) and American Petroleum Institute (API) approve ultrasonic testing as a method for determining the integrity of fuel oil storage tanks. 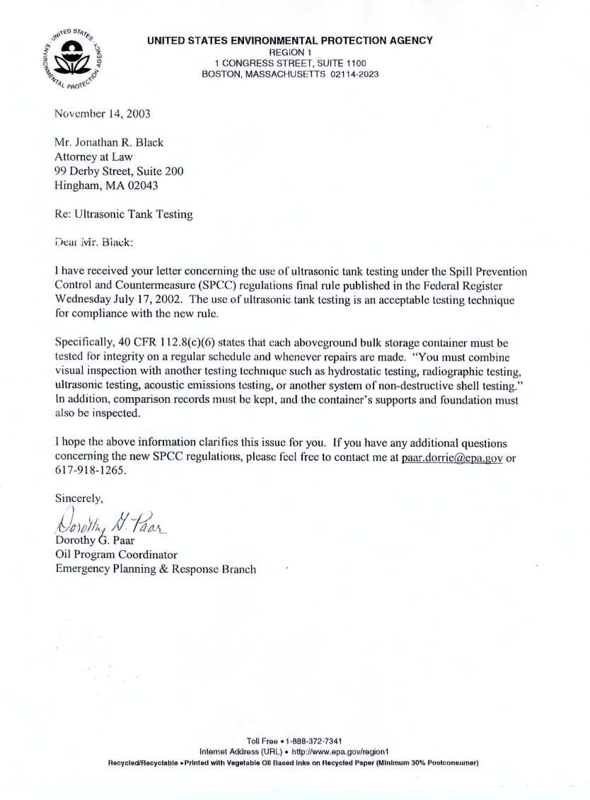 While these agencies do not currently regulate home heating oil tanks, rather they regulate larger commercial tanks, the methods they approve are directly applicable to home heating oil tanks. 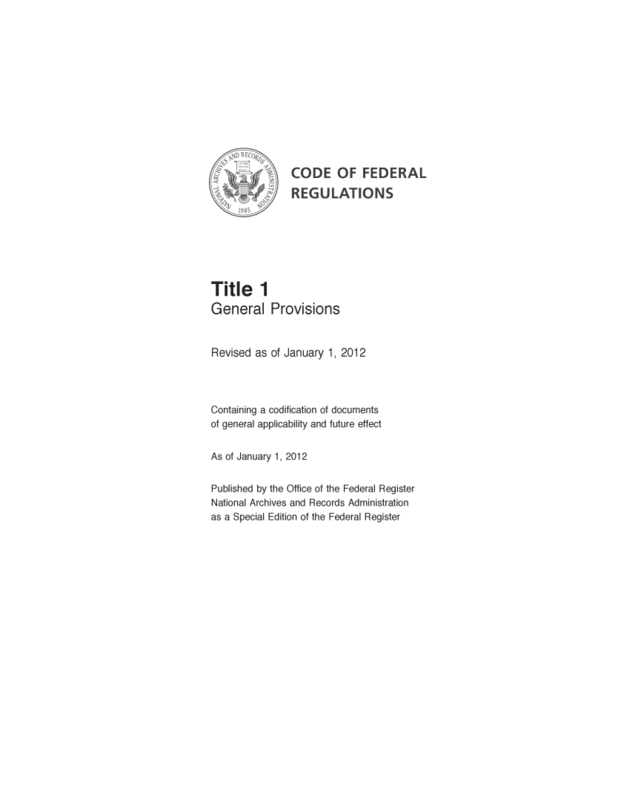 In fact, the applications are identical. 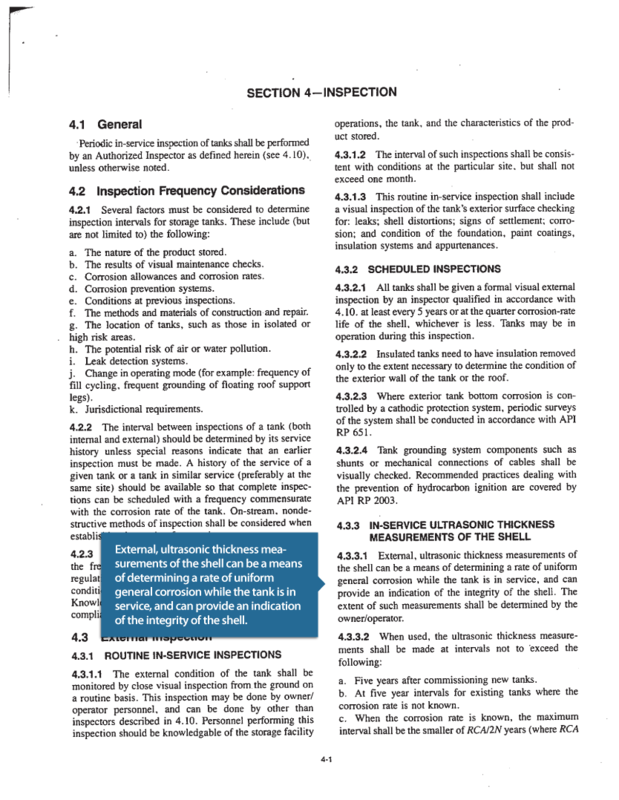 The process that the TankSure® Program employs for ultrasonic testing is based on these EPA and API standards and guidelines. The TankSure® Program fulfills all inspection requirements including record keeping and data tracking through the TankSure® Cloud Database. 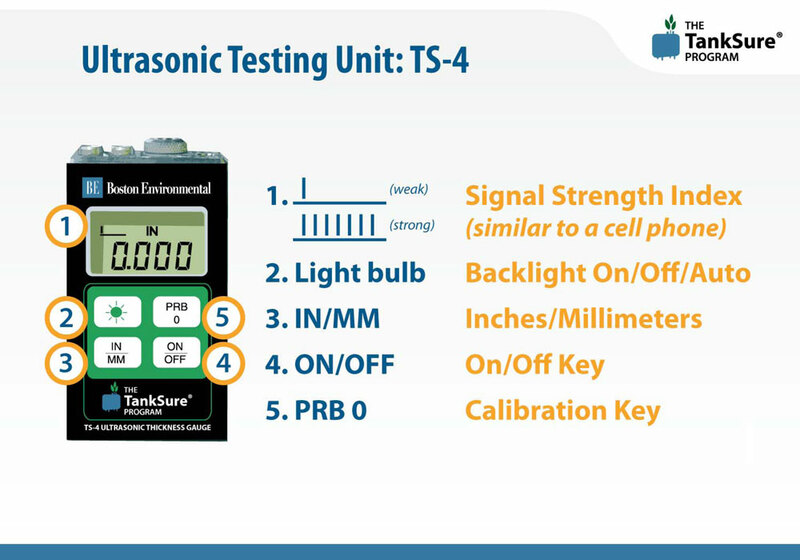 The ultrasonic thickness gauges used for the TankSure® Program inspections are specifically designed for testing home heating oil tanks.